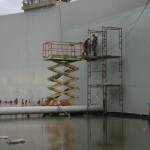 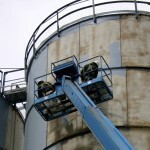 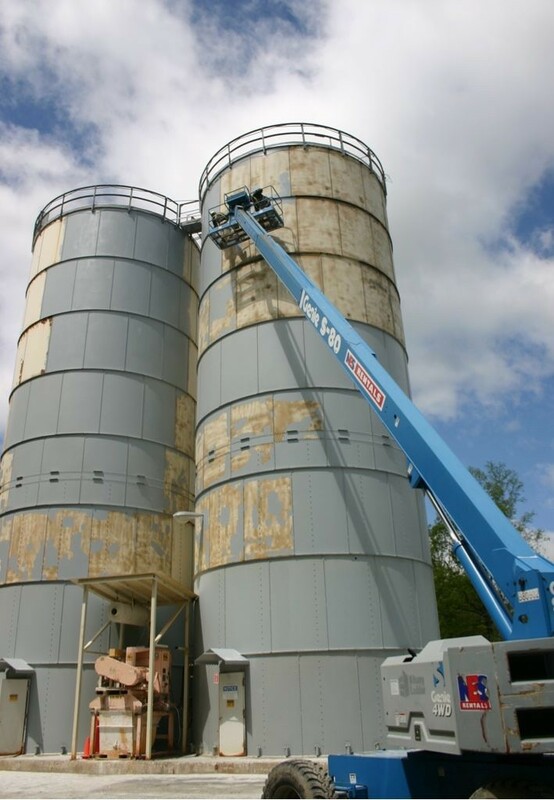 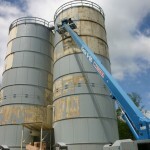 80 foot man/lift being used to access silos at a “tight” site. 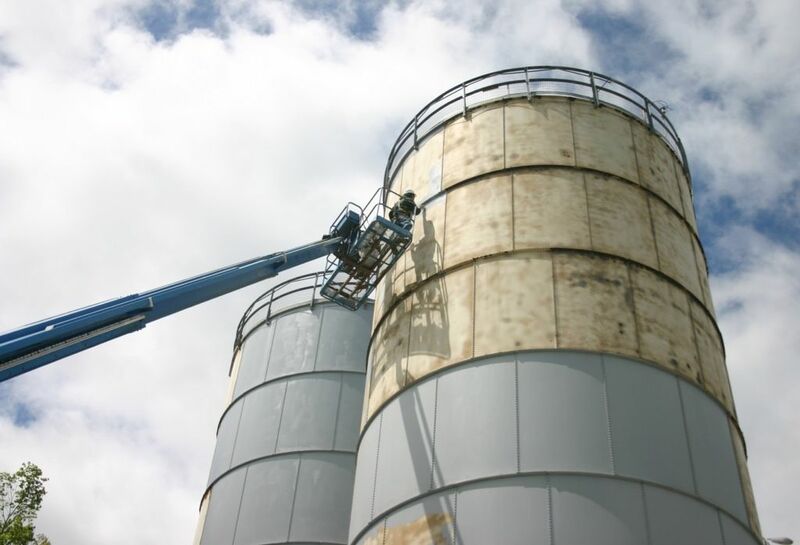 These silos received a sandblast surface prep followed by two coats of epoxy paint and a urethane topcoat. 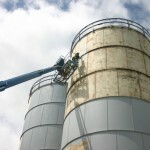 Storage silos at this talc mine were in need of a new paint job after many years of service. 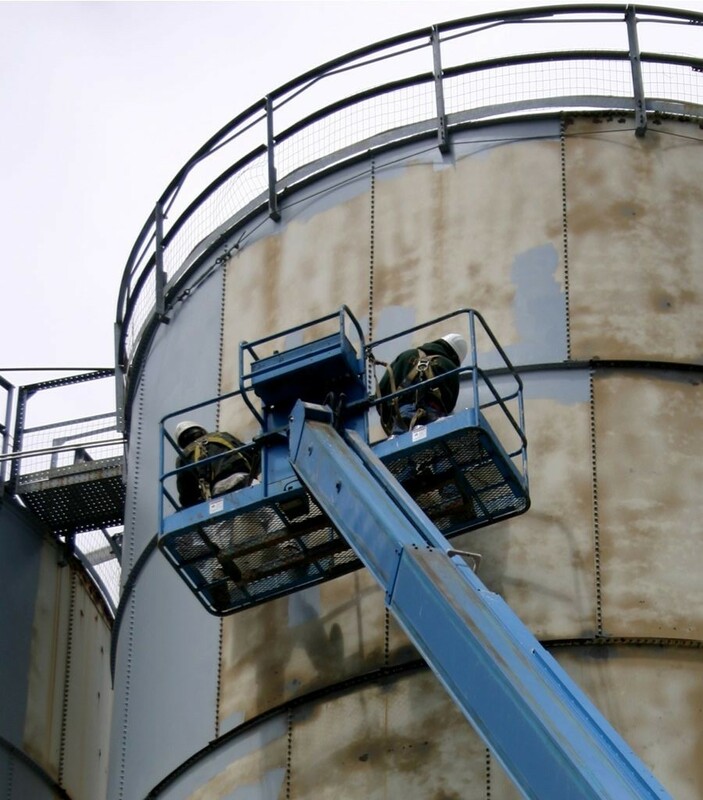 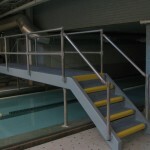 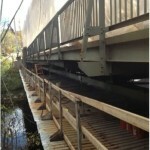 Vermont Protective Coatings had to work closely with operations personnel as an active railroad track goes right by the tanks and we were required to stop work whenever a train was scheduled to pass through.